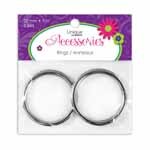 UNIQUE CREATIV Round Rings - 32mm (11⁄4″) - Silver - 2pcs. 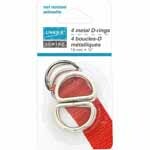 UNIQUE SEWING Metal D-Rings - 13mm (1⁄2″) - Silver - 4 pcs. 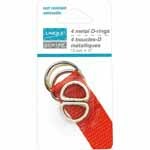 UNIQUE SEWING Metal D-Rings - 19mm (3⁄4″) - Silver - 4 pcs. 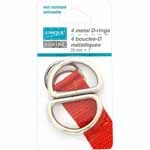 UNIQUE SEWING Metal D-Rings - 25mm (1″) - Silver - 4 pcs. 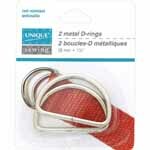 UNIQUE SEWING Metal D-Rings - 31mm (11⁄4″) - Silver - 2 pcs. 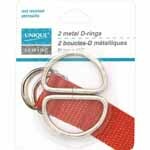 UNIQUE SEWING Metal D-Rings - 38mm (11⁄2″) - Silver - 2 pcs. 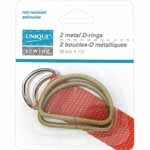 UNIQUE SEWING Metal D-Rings - 51mm (2″) - Silver - 2 pcs. 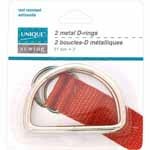 UNIQUE SEWING Fashion Metal D-Rings - 25mm (1″) - Silver - 2 pcs. UNIQUE SEWING Metal D-Rings - 13mm (1⁄2″) - Gold - 4 pcs. UNIQUE SEWING Metal D-Rings - 19mm (3⁄4″) - Gold - 4 pcs. UNIQUE SEWING Metal D-Rings - 25mm (1″) - Gold - 4 pcs. UNIQUE SEWING Metal D-Rings - 31mm (11⁄4″) - Gold - 2 pcs. UNIQUE SEWING Metal D-Rings - 38mm (11⁄2″) - Gold - 2 pcs. 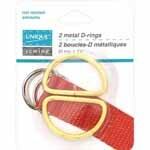 UNIQUE SEWING Metal D-Rings - 51mm (2″) - Gold - 2 pcs. UNIQUE SEWING Metal D-Rings - 13mm (1⁄2″) - Antique Gold - 4 pcs. UNIQUE SEWING Metal D-Rings - 19mm (3⁄4″) - Antique Gold - 4 pcs. 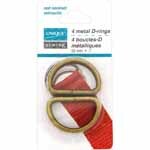 UNIQUE SEWING Metal D-Rings - 25mm (1″) - Antique Gold - 4 pcs. 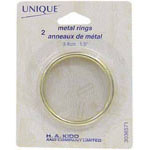 UNIQUE SEWING Metal D-Rings - 31mm (11⁄4″) - Antique Gold - 2 pcs. 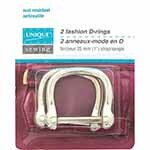 UNIQUE SEWING Metal D-Rings - 38mm (11⁄2″) - Antique Gold - 2 pcs. 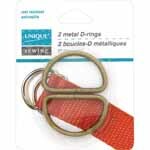 UNIQUE SEWING Metal D-Rings - 51mm (2″) - Antique Gold - 2 pcs. 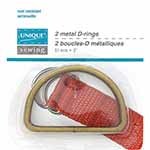 UNIQUE SEWING Fashion Metal D-Rings - 25mm (1″) - Antique Gold - 2 pcs. 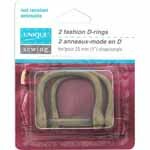 UNIQUE SEWING Metal D-Rings - 13mm (1⁄2″) - Black - 4 pcs. 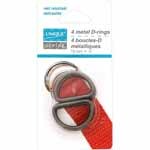 UNIQUE SEWING Metal D-Rings - 19mm (3⁄4″) - Black - 4 pcs.